Built to support the Preparation Enclosure. 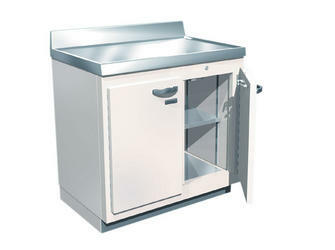 This Cabinet is designed to support the Lead-Lined Preparation Enclosure. 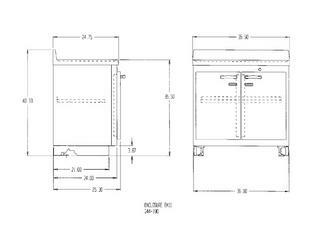 Full height, overlapping double doors with key locks open to an adjustable shelf with a 100 lb capacity. The cabinet may be used for decay and storage.